The will of God is a path leading straight to God. The will of man, which once ran parallel with it, is now another path, not only different from it, but in our present state, directly contrary to it: It leads from God. If, therefore, we walk in the one, we must necessarily quit the other. We cannot walk in both. Indeed, a man of faint heart and feeble hands may go in two ways, one after the other. But he cannot walk in two ways at the same time: He cannot, at one and the same time, follow his own will, and follow the will of God: He must choose the one or the other; denying God’s will, to follow his own; or denying himself, to follow the will of God. Posted on July 11, 2013 by John MeunierPosted in Christian life, Discipleship, God, MethodismTagged Holiness, Jesus, Methodism. My set of Wesley’s Works is currently in a box somewhere, so I can’t document this, but it has been my understanding that Wesley’s doctrine of Entire Sanctification implied that a person’s will was so impacted by grace that his or her will became conformed to the will of God. There is, of course, a danger in the doctrine that a person could erroneously believe that once sanctified, whatever willed must be the will of God. For that reason, all decisions must be weighed against Scripture, tradition, reason, and experience. I don’t know that this necessarily contradicts what Wesley states here, but I’m wondering about your take on the relationship between this quote and what I understand of his doctrine of sanctification. I acknowledge my understanding of this doctrine may be in error, so feel free to offer an alternate perspective. Wesley was both optimistic about the power of Holy Spirit and realistic about the persistence of sin. So, while he did teach that we could be sanctified in love, he always preached as if people were still going on to perfection. In this sermon, for instance, he includes a fairly detailed description of how we are called to self-denial and cross-bearing from the earliest phases of Christian life right up to full sanctification. And since he believed we can “make a shipwreck of faith,” we would still need to resist the temptations of sin that we cannot escape while in the flesh. Even the person perfected in love would be subject to temptations and urgings to follow the non-God path. I’m not sure if that is responsive to your question, but it is my understanding. My reading of this sermon is that it is a “building up” sermon addressed primarily to those who are walking in the way but at risk of faltering or in need of greater focus. Maybe Luther can add some light. 16. The apostle means, not simply that we must flee the outward temptations to sin, but, as he says, that we must “deny” them, must mortify the lusts, or desires, within ourselves. Our lusts being mortified, no external temptation can harm. By such subjection do we truly flee. If we fail to mortify our desires, it will not avail to flee outward temptations. We must remain amidst temptations and there learn through grace to deny lusts and ungodliness. It is written (Ps 110, 2), “Rule thou”–or apply thyself–in the midst of thine enemies.” Conflict and not flight, energy and not rest, must be the order in this life if we are to win the crown. A Sermon by Martin Luther; taken from his Church Postil of 1522. I love the way Luther writes. I do too. I am studying Luther an Wesley today. Wesley had great and not so great things to say about Luther. Wesley,as I am sure you know, was reading Luther when he had his heart warming experience. Wesley praises Luther and says God raised up a poor monk. Wesley is highly critical of Luther when it came to sanctification. Who has wrote more ably than Martin Luther on Justification by faith alone? 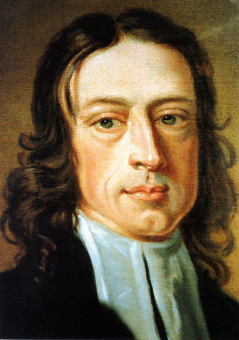 Who drove Holiness more than Wesley?